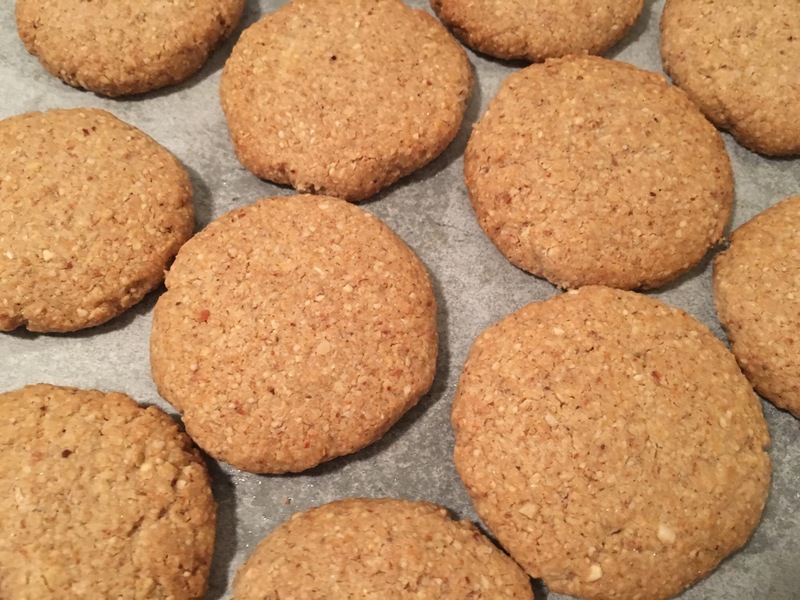 Anzac biscuit is supposed to be a sweet biscuit, popular in Australia and New Zealand, made using rolled oats, flour, desiccated coconut, sugar, butter, golden syrup, baking soda and boiling water. They have been long associated with the Australian and New Zealand Army Corps established in World War 1. My version is not as sweet in fact I can’t taste much sweetness at all but it was still tasty according to my husband. So supportive, I know. I tend to be a bit of a control freak when it comes to sugar. I have a sweet tooth but I try to make snacks which are healthier by replacing them with coconut sugar or cutting down the amount of sugar. No white sugar is involved in my baking or cooking. 1. Pulse the oats and almonds in a blender. 2. Combine the oats, almonds, desiccated coconut and baking soda together in a large bowl. 3. Mix coconut oil and rice syrup together. 4. Add the wet mixture to the dry mixture. 5. Add in the water and mix the batter well. 6. Roll tablespoonfuls of the mixture into balls and flattened them. 7. Place them on the baking trays allowing space between them. 8 Bake in the preheated oven for about 12 – 15 minutes. Enjoy the biscuits once they have cooled down. Keep the rest in an airtight container if there are leftovers.